Steam distilled from the seeds of the Carrot Seed plant. 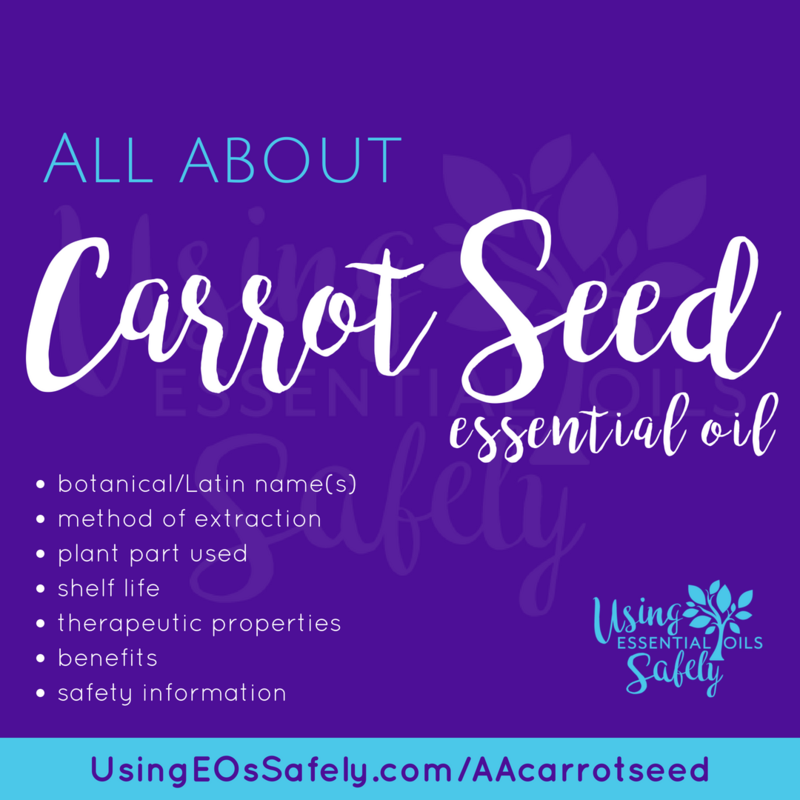 Below you will find a summary of information you need to know about Carrot Seed essential oil compiled by previously published posts, excerpted from materials available on our resources website. Larger image found on this post. Definitions found here. 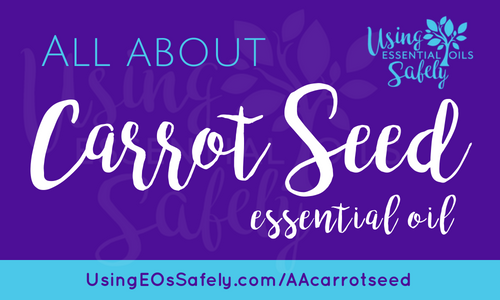 Find out where Carrot Seed shines best on this post. For more safety information, view this post. 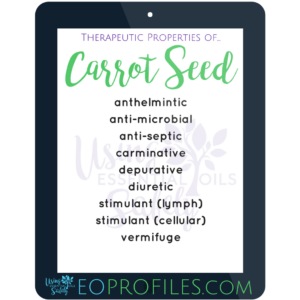 Did you know the information above is part of the information in the 60 essential oil profiles available as an app, ebook, and full-color, spiral bound print book? 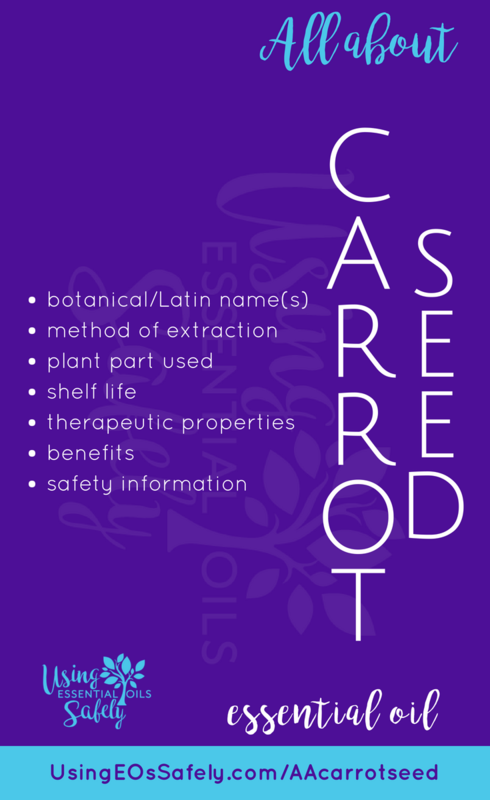 View the Essential Oil Profiles resources here. Use code “AllAbout10” for 10% off. Be sure to subscribe to our newsletter for a weekly educational emails, and freeEOclass.com for more classes. Find more posts like this here: All About X Essential Oil category list.